In honor of tonight being the fifth night of Chanukah, this week’s monster comes from Jewish folklore. The golem is truly a classic of the ages — though its early incarnations date all the way back to the Talmud, its enduring relevance shows in the many pop cultural tributes that we still see in media today. So what makes a golem? In the broadest sense, a golem is any creature made of unliving material that becomes animated by its creator. In most stories, the golem’s creator is human rather than divine, and so the life given to a golem is imperfect compared to God’s creation of human life. The classic golem is made from dirt, mud, or clay. That imperfect imitation of life makes a golem interesting. Immediately it raises questions about the nature of life and intelligence: why are we humans seemingly alone as sentient life? Does that make us special — and if so, why? Because we were created for a divine purpose, or by chance? Can we recreate that miracle? Yeah, I know — Neuromancer was cool and all, but the question of artificial intelligence goes back a hell of a lot further than that. Give our ancestors a little credit. They didn’t need Siri to imagine intelligent machines. And you know how half of the sci-fi stories about evil robots wind up with the seemingly super-intelligent AI failing or hurting people because it takes its instructions way too literally? That one also predates the motherboard. In modern Hebrew, “golem” is an insult for someone who’s a little mentally slow. The mythical creation may be physically powerful, but it is not built for cleverness. At best, a golem is made to serve a human master and complete certain tasks. At worst, it’s a reminder to be careful what you wish for: a golem that follows commands literally with no regard for intent can end up doing more harm than good. Nobody wants a powerful, unliving giant storming around out of control. So what do you do when the golem goes off the rails? It depends on the source. After all, it makes sense that how you turn off a golem should depend on what you did to activate it in the first place. Though golem references can be found as far back as the Talmud, records don’t indicate that the legend became popular until the Middle Ages. Some claimed that a golem could be brought to life with rituals using Hebrew letters to spell a shem, a name of God. 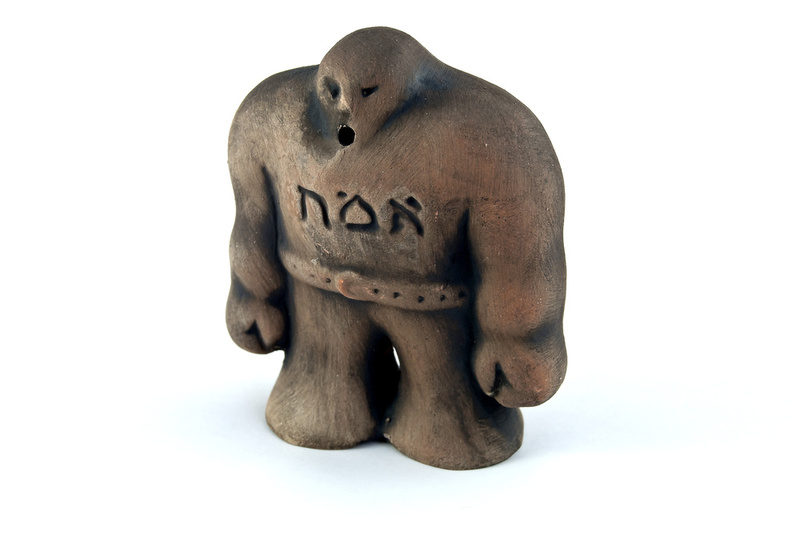 In the most famous example, a golem animated by the word “emet” — truth — runs amok, but can be deactivated by removing a letter so that it says “met.” In Hebrew, this translates to “death.” The word’s power kills the golem. Hey, I’m always a sucker for a good bit of wordplay. There are other, more derivative references, too. Dungeons and Dragons has included several types of golems since its earliest edition, and through D&D’s influence golems have percolated into many fantasy-based video games. You may have heard of a rock-type Pokémon that’s named Golem. You could even argue that Frankenstein — or any modern Prometheus, for that matter — has roots in the mythology of the golem. Could you just as easily argue that the origins are in the sculpted-from-earth creation myths of other ancient cultures? Sure. A lot of cultures have those myths. So what makes the golem of Hebrew tradition different? History, for one thing. The legend of the Prague golem does more than ask about the origins of humanity or our ability to create artificial life — it also tells the story of a community under attack. The rabbi in the story doesn’t create a golem out of curiosity, or boredom, or hubris. He does it out of necessity. Although many versions of the story still end with the golem going out of control and needing to be deactivated, it is also a protector. That protector role, if brief, distinguishes it from the other myths. Say what you will about artificial intelligence. When a persecuted community has to turn to an unfeeling statue to protect them from their hot-blooded human neighbors, it’s not the golem’s empathy that I’m worried about. And so the final monster of 2016 turns to dust. Thank you for reading, and I’ll see you next year!